Liposuction in Palm Beach – Laser Lipo Body Sculpting can sculpt you a new body without surgery or downtime for a lot less than you think! Financing starts at $89 – Florida’s Top Liposuction Expert. Fat Removed from problem areas is gone for good. Smart Liposuction is the Safest, Most Effective and Most Affordable Laser Lipo Body Sculpting available. Dr. Neil Goodman is one of the Nation’s Top Laser Liposuction Surgeons and he performs his specialty which is called “Smart Liposuction” in Palm Beach Gardens Florida at New Radiance’s Joint Commission Accredited Facility! If you are seeking a solution to bothersome fat deposits unresponsive to diet and exercise, Dr. Neil Goodman is Florida’s Liposuction Expert. 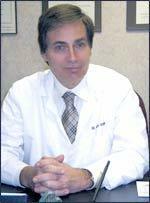 Dr. Goodman is one of the Nation’s top liposuction surgeons. 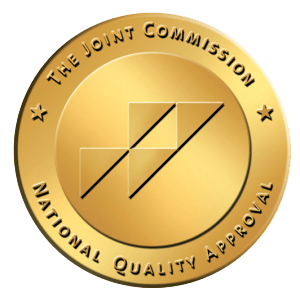 Both Dr. Goodman and the facility are accredited by the Joint Hospital Commission. His Procedure is safer than regular Liposuction because his procedures are performed under Local anesthesia avoiding all the risks of being sedated under general anesthesia. Call (561)776-5597 or fill out our Free Consultation form to learn more! How Does Smartlipo Work compared to Smartliposuction? Smartlipo laser liposuction is simply a brand name for a particular laser made by Cynosure. Lasers are used to melt fat and tighten skin during the procedure. It really does no matter what brand of laser is used, what matters is the skill and expertise of the user. Smart liposuction is laser liposuction. DR Goodman used his laser to perfect liposuction results, by melting away more fat as well as tightening the skin so you can show your skin and not be self-confident about the way you look in clothes or in a bathing suit! How can this Procedure be done without General Anesthesia? Why get Smart Liposuction and not regular Liposuction, some other laser lipo procedure? Smartlipo laser liposuction offers astonishing results for fat removal (up to 4 liters of fat removed) and cellulite reduction from hips, flank, abdomen, chin, underarms, legs, and buttocks. Additionally, SmartLipo offers skin tightening and cellulite reduction results.